A big shout out to former NFL player and New York Times best selling author Tim Green, a featured speaker at the recent Missouri Association of School Librarians Spring Conference attended by Mrs. Finley and Mrs. Bangert. 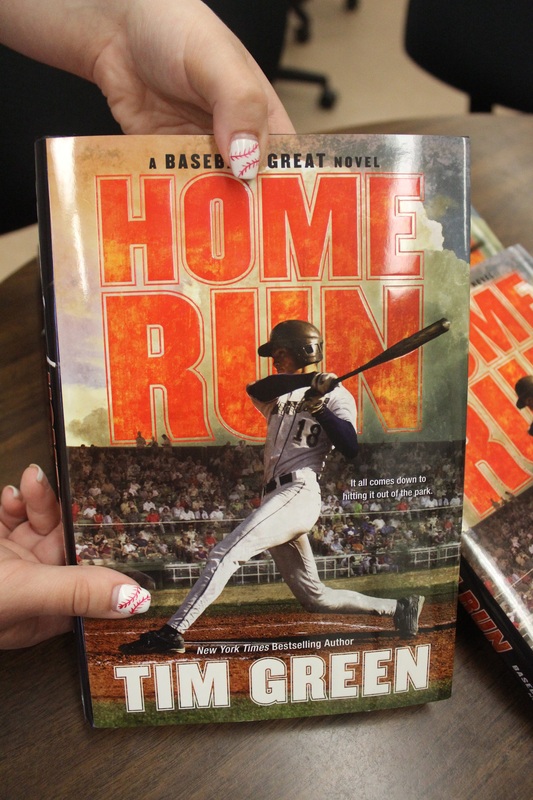 Green donated copies of his book Home Run, a Baseball Great novel, to be given to school libraries in the form of a grant instead of accepting an honorarium for his appearance. 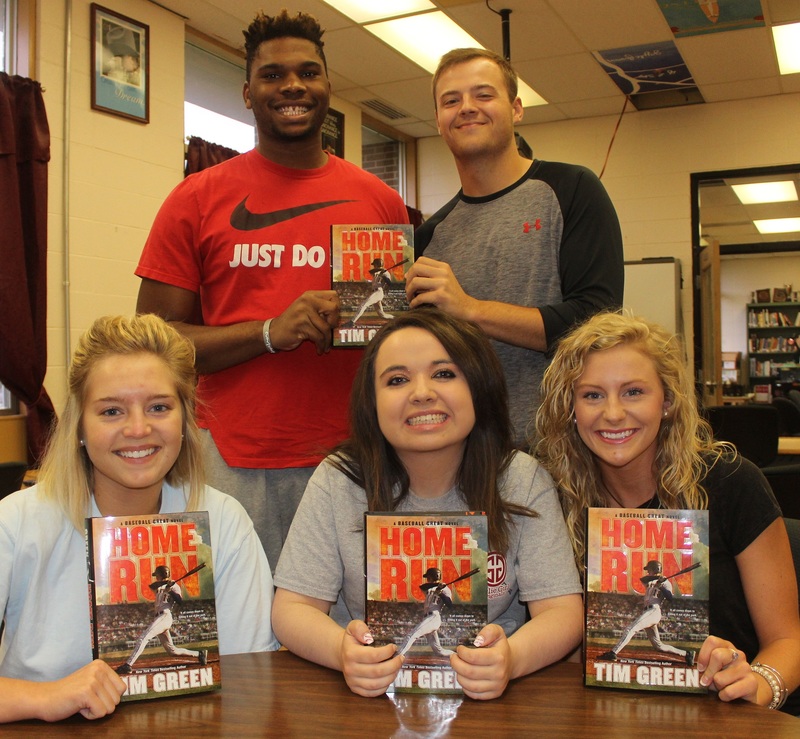 Applicants were asked to write a 250 word essay and Clearwater High School Library was chosen as one of the select number of libraries to receive several copies of Home Run. 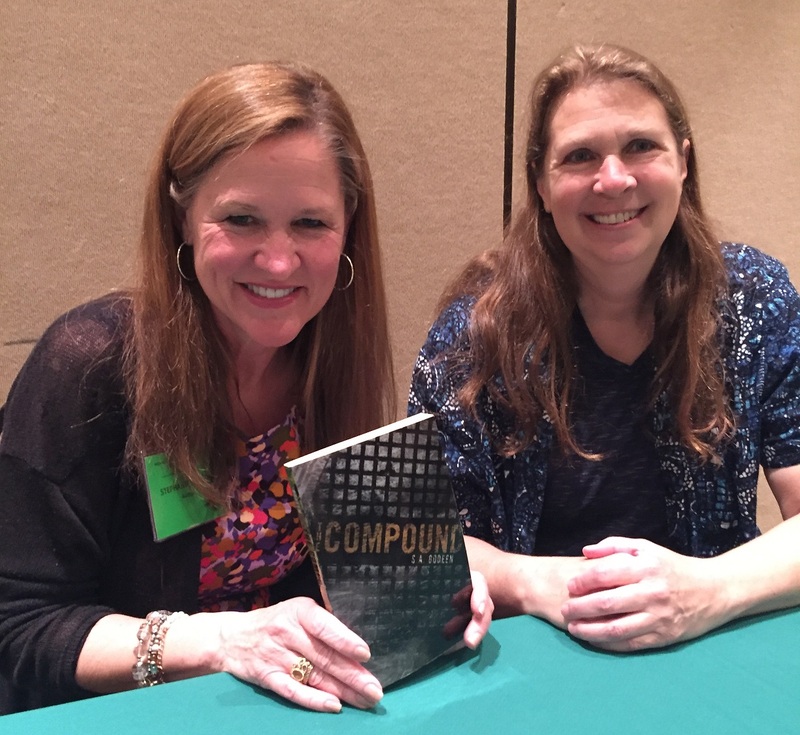 Other highlights of the conference included having books, The Raft, The Compound, and The Gardener signed by author S. A. Bodeen. Josh’s life has just fallen apart. His father will no longer be coaching the travel baseball team and is moving to Florida, forcing his mom and little sister to move into a small apartment on the wrong side of town. To make matters worse, the new coach of the travel team is an unforgiving drill sergeant. But then Benji tells Josh of a home-run derby in which the winner gets a brand-new house. All Josh has to do to qualify is hit twenty home runs during his travel-team season. With Benji and Jaden’s help, Josh is hoping to hit it out of the park and save his family, because if he strikes out, he may just lose everything.